Let's work on moving towards enlightenment together! TAROT or ORACLE READINGS: Schedule a session for an individual reading or for parties. Leslie uses several oracle decks, mainly rooted in the Tarot, to give you insight to past/present/future issues and situations in your life. Her readings have been noted for their accuracy; working with information on the material and spiritual planes. Tarot is a powerful archetypal and psychological tool that can give you perspective on your life. We also have access to many other Oracle tools that might be right for your search for wisdom. THE METAPHYSICAL SALON and BOOK GROUP (through Meetup.com): Founded in 2010, the Metaphysical Salon is a group of more than 250 members in Knoxville who meet monthly to discuss metaphysical and spiritual and healing topics. Join a vibrant local learning community devoted to understanding the transcendent. INSTRUCTIONAL CLASSES AND WORKSHOPS: We occasionally offer seminars on Reiki, Tarot, crystals, chakra healing, angels, and intuitive development. Check out our fun Tarot for Teens workshop that is occasionally offered. MINDFULNESS INSTRUCTION: Get one-on-one guidance on mindfulness practices to develop a deeper spiritual life, to reduce stress, to improve physical health, and increase vitality in your relationships and career. 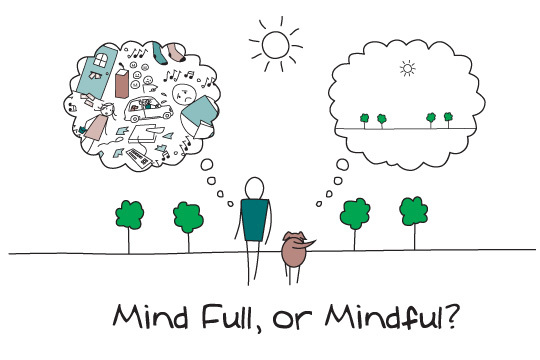 We also offer group workshops in mindfulness training. Why should you study or use metaphysical principles and tools? Have you reached a point life where you find yourself searching for meaning? You are not alone! In a study conducted by William R. Miller and Janet C'de Baca (2001), personal values before and after a eye-opening/altering event that created a quantum shift in a person were measured. Before a life changing event, men valued (in order): wealth, adventure, achievement, pleasure, respect, family, fun, self-esteem, freedom, attractiveness, popularity, and power. After a significant life-changing event, men valued (in order): SPIRITUALITY, PERSONAL PEACE, family, God's will, honesty, GROWTH, humility, faithfulness, forgiveness, self-esteem, loving, intimacy. Before a life changing event, women valued (in order): family, independence, career. fitting in, attractiveness, knowledge, self-control, be loved, happiness, wealth, faithfulness, safety. After a significant life-changing event, women valued (in order): GROWTH, self-esteem, SPIRITUALITY, happiness, generosity, PERSONAL PEACE, honesty, forgiveness, health, creativity, loving, and family. When life gets tough, people start valuing deeper, more metaphysical values, to make sense of their life's purpose and personal meaning. If that describes you, the WiserheART Center can help! If you haven't had a quantum shift yet, why wait? Start working on what is meaningful while your life is easier so you can handle the tough times better when they come along! Find some deeper meaning through the study of metaphysics, speculation upon questions that are unanswerable to scientific observation, analysis, or experiment. We use spiritual mysticism and metaphysical teachings to help you on your path of personal growth.